Is the projection of $U$ on $X$-axis (i.e $a$) equal to the projection of $X$ on $U$ (i.e $b$)? Does this apply to all the vector projections? I can see that there is a symmetry in the intersection point of two projections which implies that both the lengths are same but somewhere, I have a feeling that I have not understood the concept quite clearly. Can anybody please elaborate on this? Browse other questions tagged vector-spaces vectors or ask your own question. 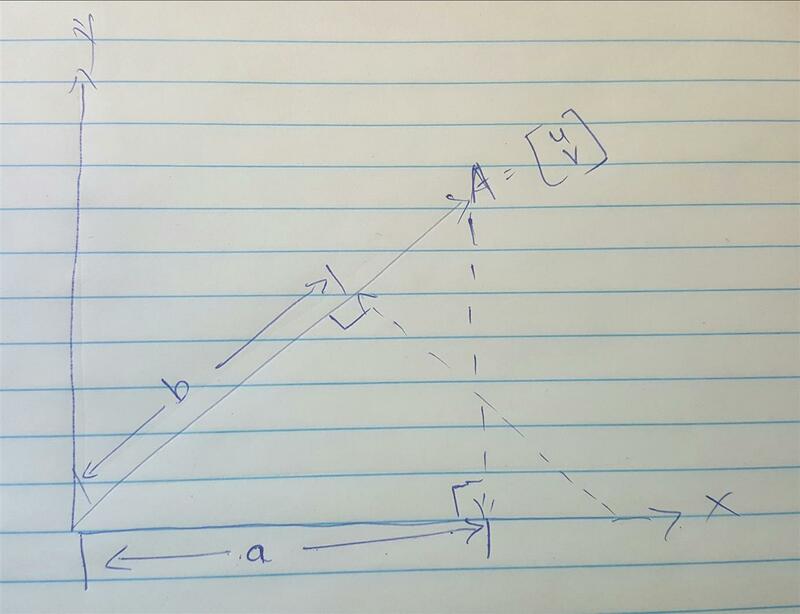 How Can I find the coordinates of a point, if I know its projection vector? Vector $A = 2i-6j+10k$ , Vector $B = 1i+Xj+5k$. Both vectors have same unit vectors. Then what is the value of $X$? $V$ be a f.d, vector space over complex field , $P_1,…,P_n$ projection linear operators such that $P_1+…+P_n=I$ , then $P_iP_j=O,\forall i\ne j$? If $S$ is a subset of a vector space $V$, then $span(S)$ equals the intersection of all subspaces of $V$ that contain $S$.